Elaine O’Hara is Head of North America Commercial Operations for Sanofi Pasteur. In her Vaccines leadership role, Elaine has spearheaded the launch of the company’s first recombinant influenza vaccine within the company’s flagship franchise. She has driven long-term strategic planning and execution to continue to build the success of the more than $3 billion North America Vaccines business. Elaine has more than 20 years of experience in the pharmaceutical and vaccine industry. She has a consistent track record of developing and managing billion-dollar franchises within the industry, in addition to launching multiple pharmaceutical brands. She has held numerous leadership roles in different therapeutic categories and markets. Prior to joining Sanofi, Elaine was Senior Vice President, Sales and Marketing at Otsuka America Pharmaceutical Incorporated (OAPI). 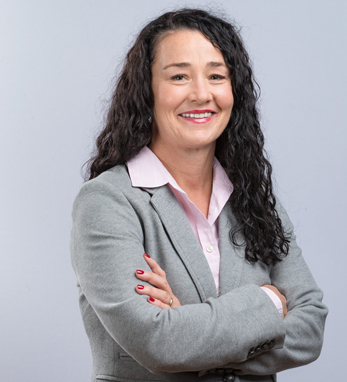 Elaine joined OAPI in 2012, and led the commercial organization to its current success of core products across CNS and cardio-renal franchises, totaling $2 billion in net sales in 2016. Elaine also served as portfolio lead for Pfizer’s anti-infective category, where she led the marketing and sales teams through portfolio maximization and delivered $880 million in revenue. During Pfizer’s acquisition of Wyeth, Elaine was responsible for the global launch of the Prevnar13 adult indication. She has also held other sales and marketing management roles within Wyeth’s vaccines group. Elaine, who was born in Dublin, Ireland, moved to New York with her family for several years, until they re-located back to Newport, Co. Mayo.